My first shopping experience today was the on-campus book store. I thought I would have a look at the books available.. Hmm. Maybe not. The textbooks relating to courses taught are in a section cordoned off so you can’t browse them. And the general book section was quite small. 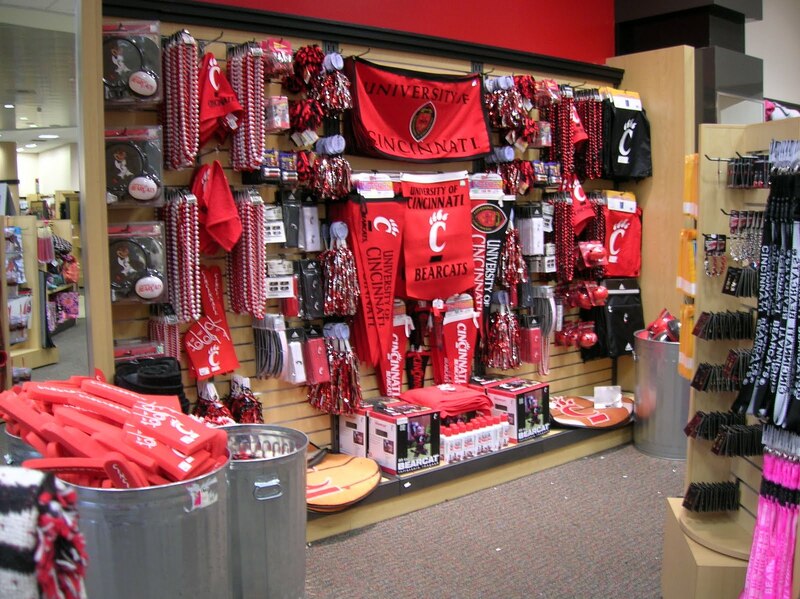 The majority of the store (both floors), a not-insubstantial space, was taken up with clothing and general University-branded stuff. 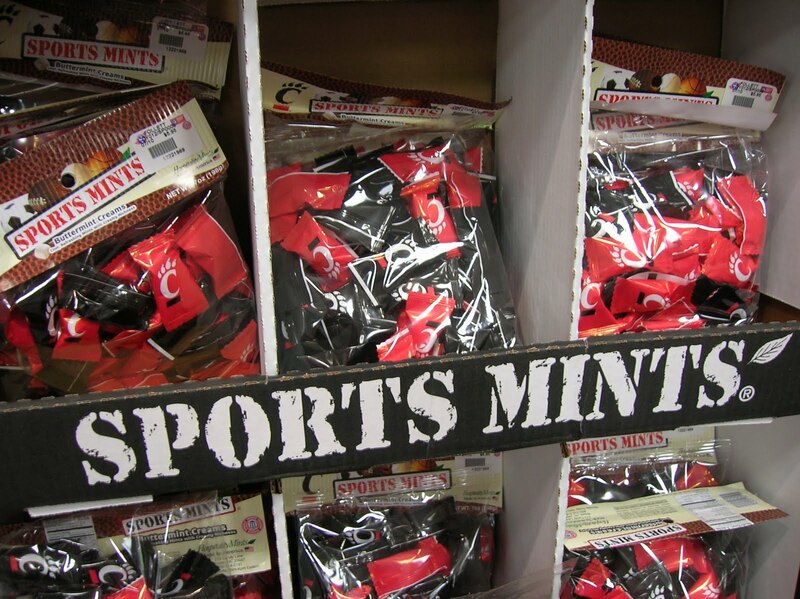 Also why not support your team with branded mints? 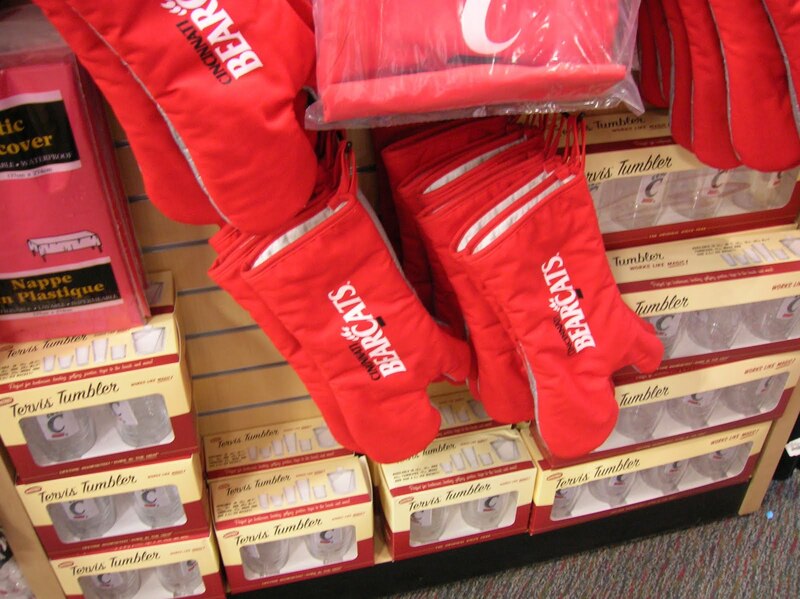 And whose life is not complete without University oven mitts? After I’d finished in the library today, I decided to try the bookstore across the street from the campus. Only to find that once again the books were all textbooks and cordoned off and the majority of the shop again devoted to University-branded stuff. On the plus side, as I was exiting this store I spotted a health-food shop and managed to acquire some cous-cous, bulgar wheat and polenta. Again the healthier food was expensive… $3 for rice cakes? But the stuff I was picking up wasn’t too bad. I decided to grab some beer for tonight from a smaller shop on my home, never very comforting when one of the signs in the window states that the place is an official police sub-station. And the two guys behind the counter were very big and very tattooed. They were very nice, one of the them was running out into the car park as the previous customer had left some stuff on the counter. Didn’t quite fit the image. Plus it is always odd when big, tough looking guys tell you to have a nice day.